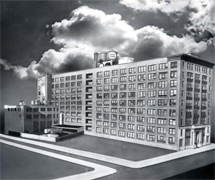 The Mulford Building is significant for its role in the development of the pharmaceutical industry in Philadelphia and for its contributions to medical advancement in the creation of biological products and other drugs. This building also possesses significance as an important example of a manufacturers loft designed by the prominent Philadelphia industrial architect Charles Balderston. 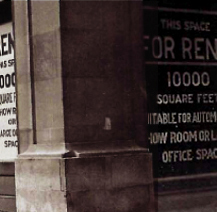 The Mulford Building was constructed as a tenant manufacturers? loft building by Metropolitan Realty Company from 1912 through 1913. 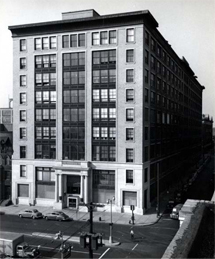 The Mulford Building is the only known tenant loft commission by architect Charles Balderston, a former partner of Philadelphia architect Samuel Sloan and it was by far the largest building he designed during his career. 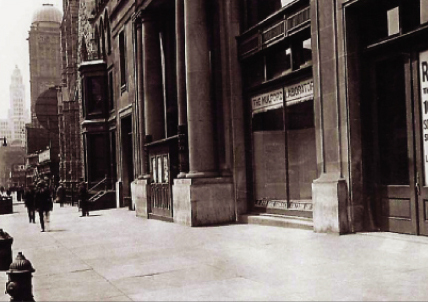 More than two dozen garment manufacturers rented space in the Mulford Building (originally known as the Metropolitan Building) from 1913 through 1918. According to a 1914 insurance policy plan of the building, nearly 1,100 men and women worked in this building. In 1925, the Mulford Company received a deluge of press regarding a large order of diphtheria anti-toxin that was rushed to Nome, Alaska to combat an epidemic in that city. The diphtheria serum was delivered by rail from Philadelphia's Mulford Building to the Seattle branch office and then by rail to Nenana, the last railroad stop in Alaska. The serum was then taken via dogsled 650 miles from Nenana to Nome, a journey that has been commemorated with the Iditarod Trail Dogsled Race. Twenty drivers and more than 100 dogs were recruited for the run; airplanes were ruled out due to extreme cold (40 below and colder) and the fear of losing the precious serum if the plane went down.